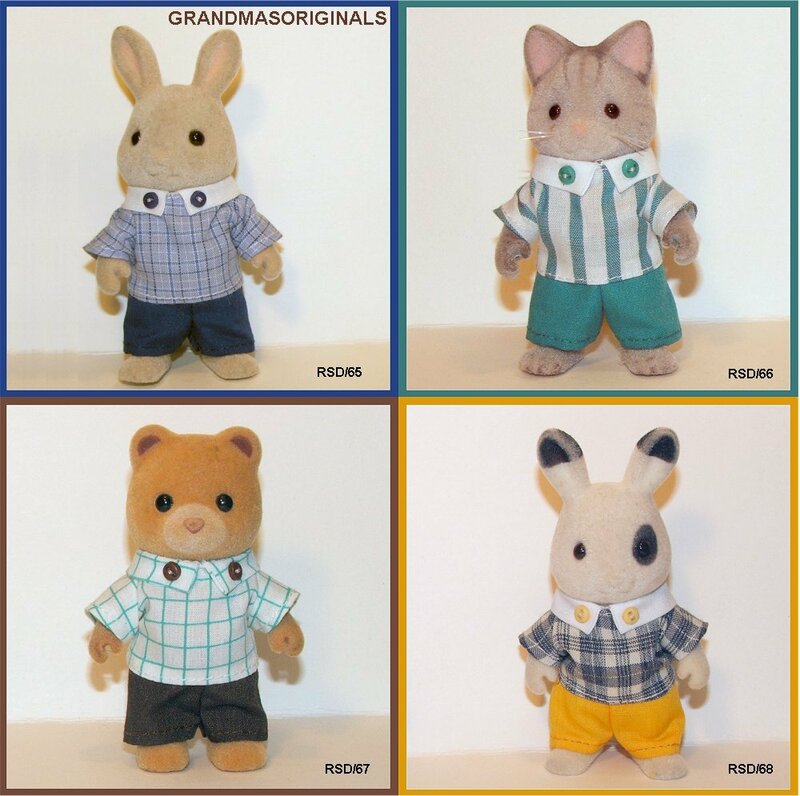 Smart casuals for regular size Sylvanians are available at £4.00 each. 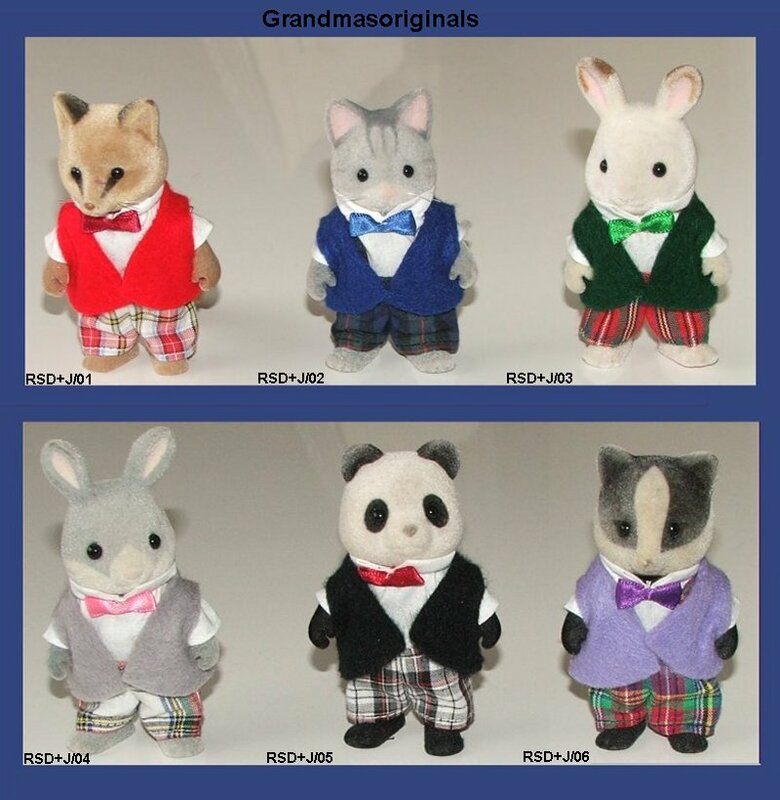 Tartan 3 piece outfit for regular size Sylvanians are available at £4.75 each. 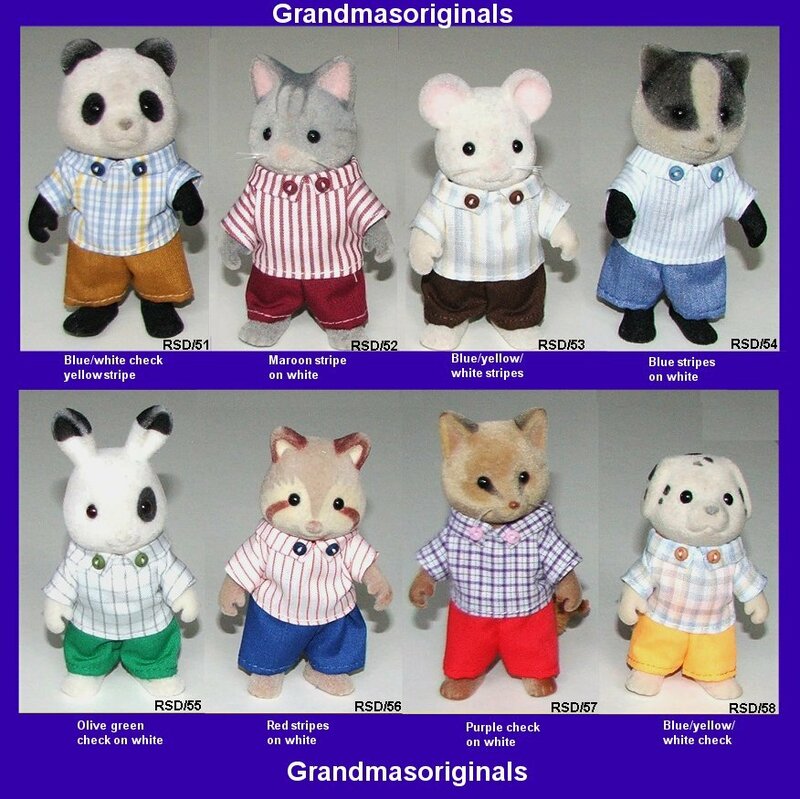 Smart casuals for Large Bear size Sylvanians are available at £4.75 each. This outfit will also fit some Forest Family Dads. 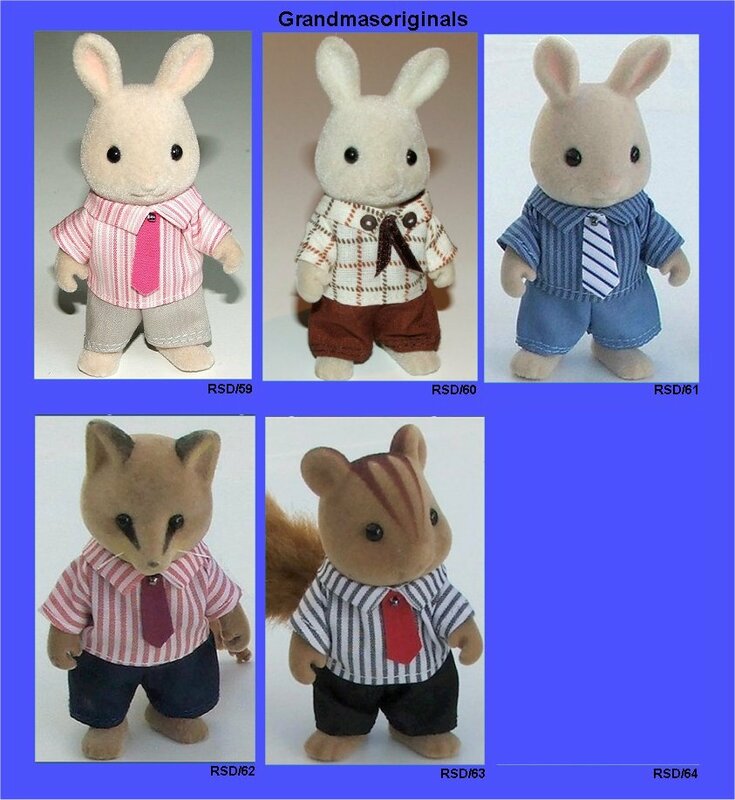 Please note fabrics will change when no longer available. 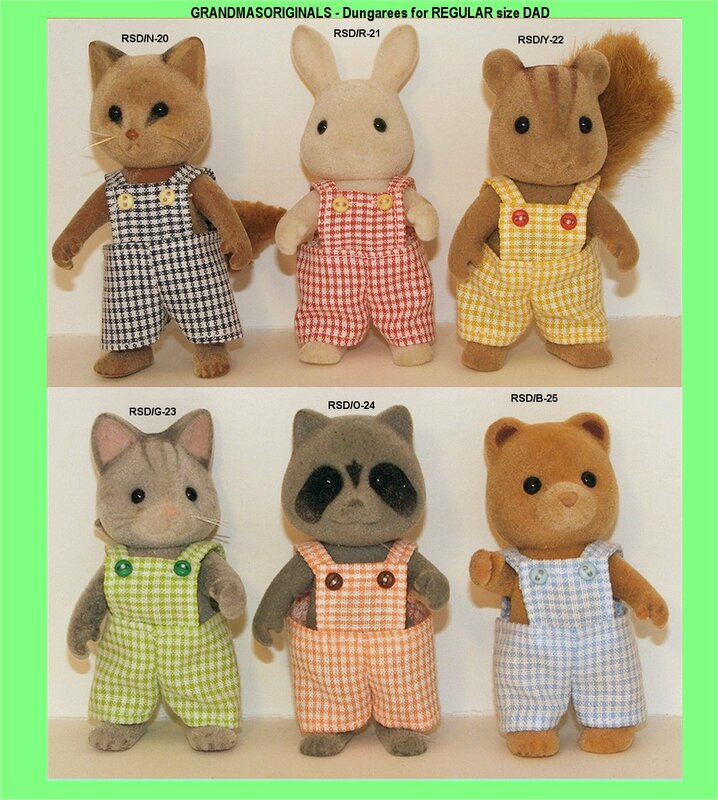 Dungarees + Top for Large Bear size Sylvanians are available at £4.75 each. 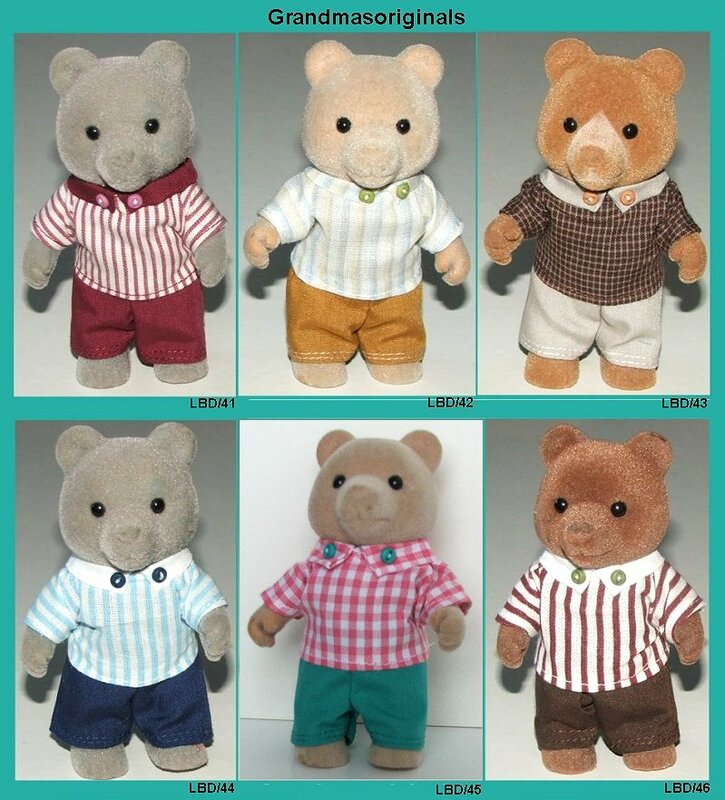 This outfit will also fit some Forest Family Dads. Abstract dungarees for regular size dad are available at £2.50 each. 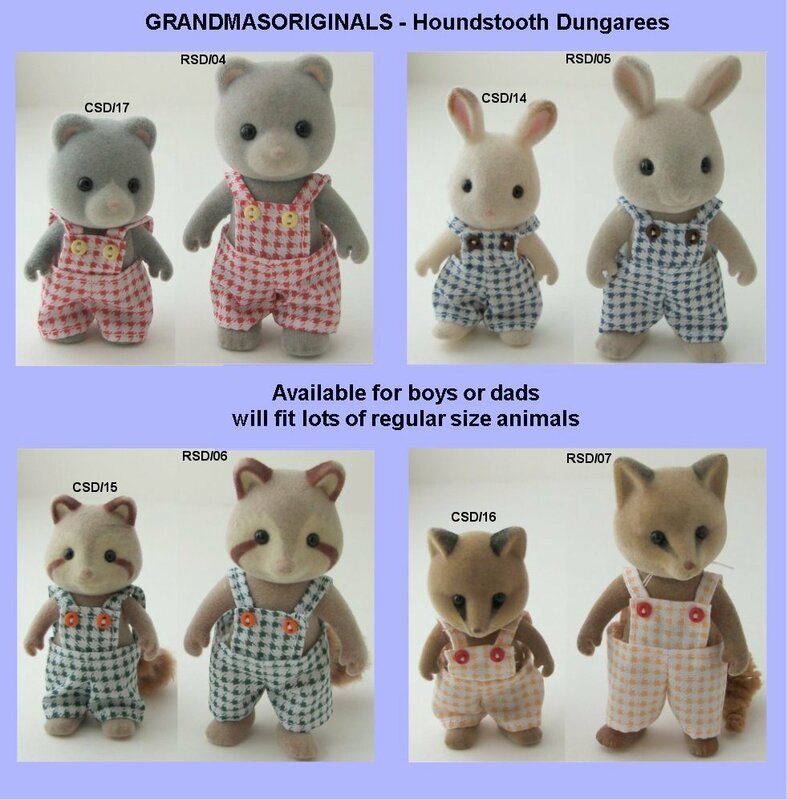 Houndstooth dungarees for regular size dad are available at £2.50 each. 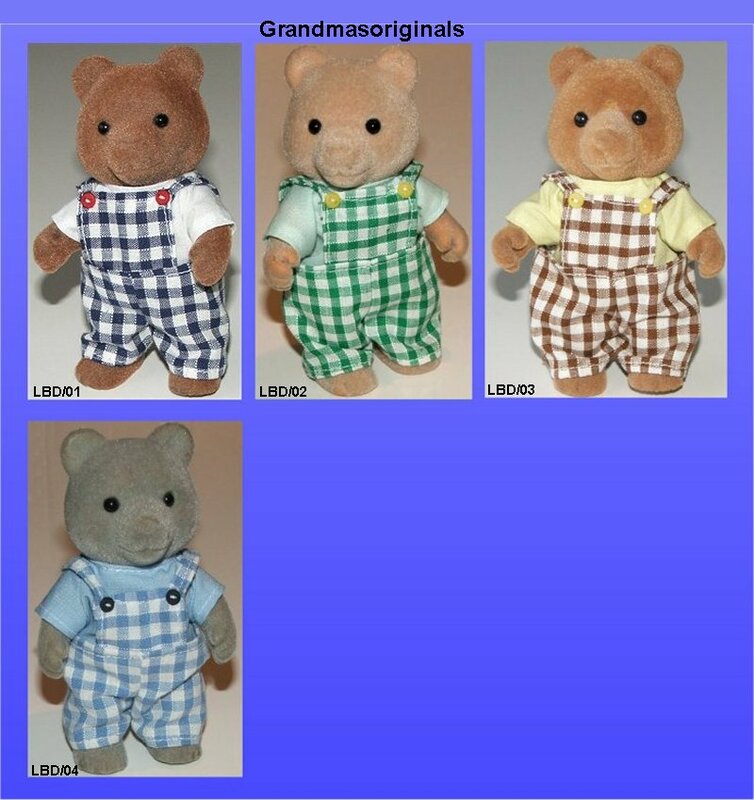 Houndstooth dungarees for regular size boy are available at £2.25 each. 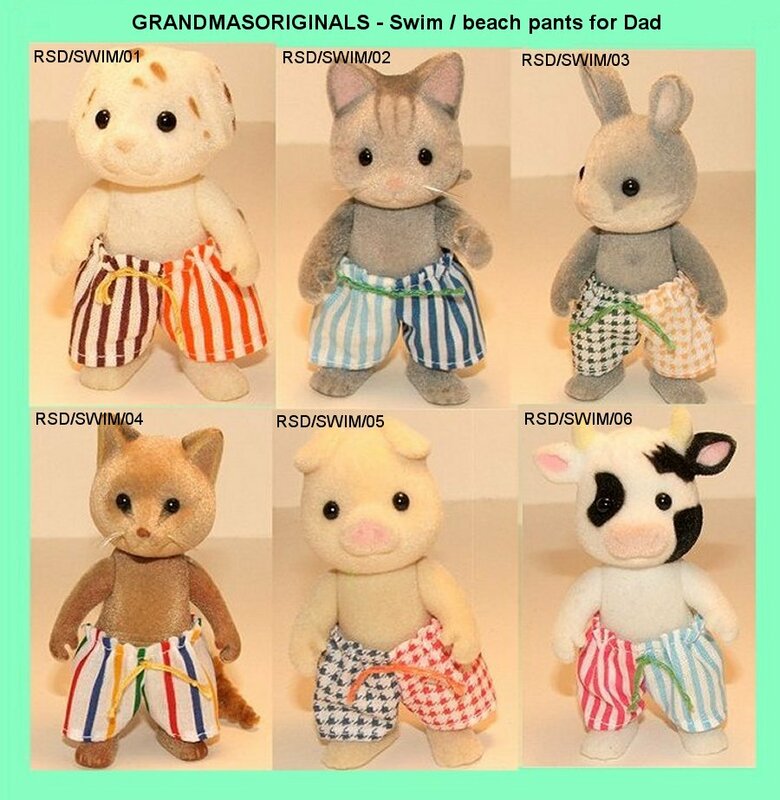 Swim pants with elasticated waist for regular size Dad are available at £2.25 each.